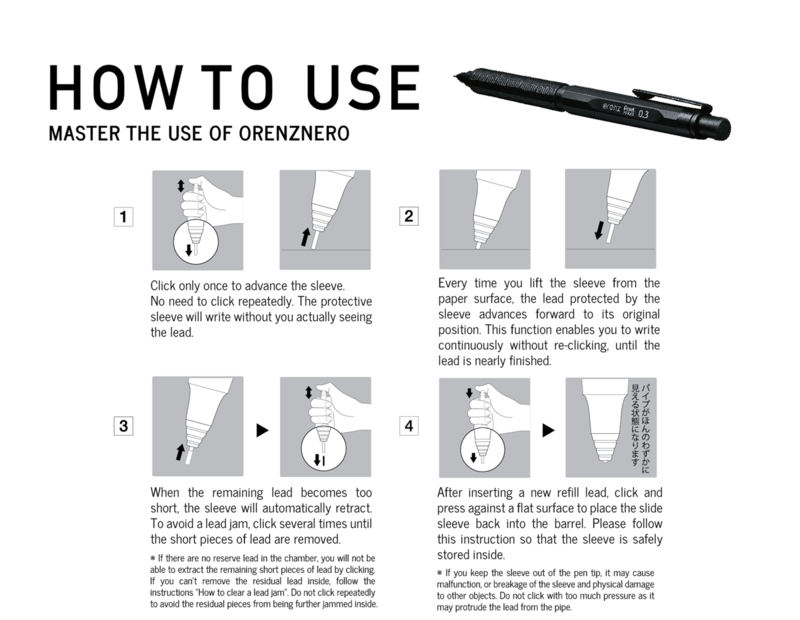 A look into the revolutionary Mechanical Pencil, Orenznero. Just 50 Pieces available in Singapore, Sold-out within 5 days! 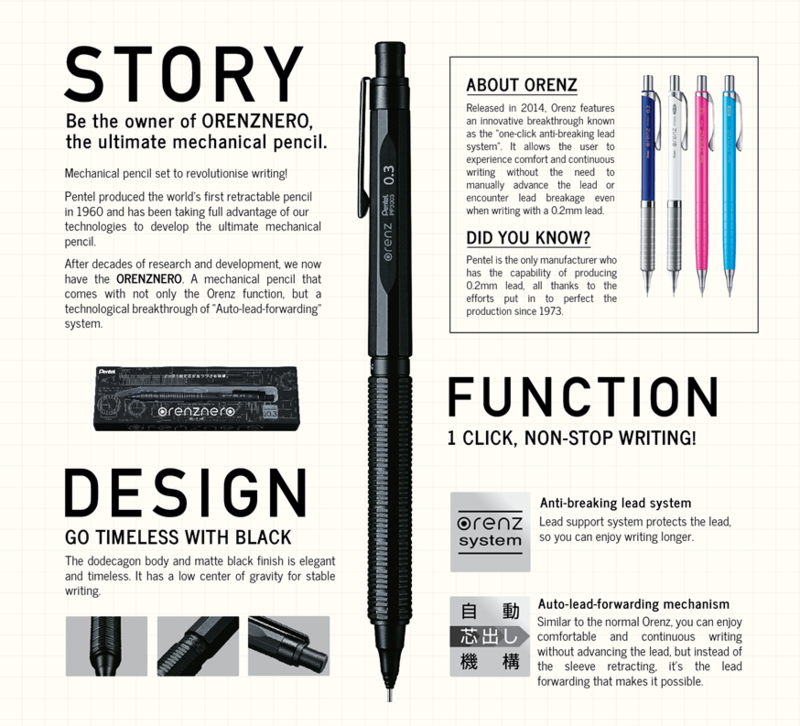 What’s so special about this revolutionary Mechanical Pencil, Orenznero? You’re about to find out below! ﻿ Having issue using it? Perhaps it’s because of a jammed lead. Try the 4 steps below, and if still encountering any issue, do contact us at pentelmktg@gmail.com or Pentel Singapore Facebook Page. 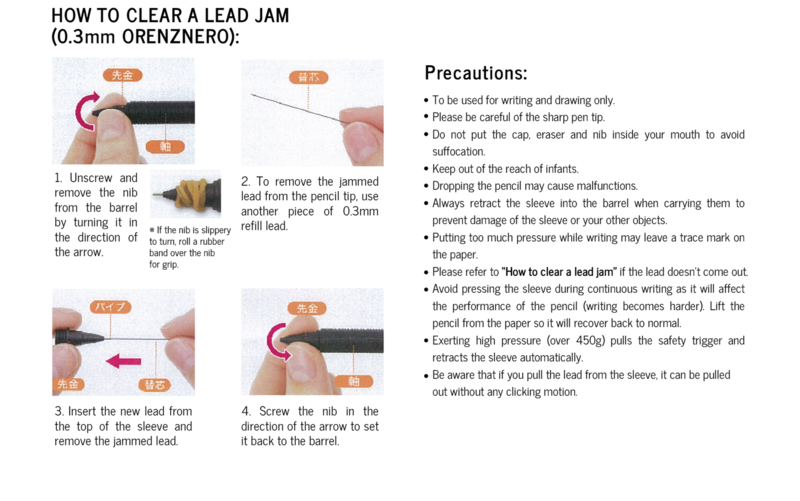 For more information, visit http://www.pentel-orenznero.jp/.